Long, lush lashes are youthful and glamorous — and they make your eyes look big and bright. Here are five steps to getting your own bombshell eyelashes! Lashes can become dry and brittle from mascara and makeup remover use. Condition your lashes daily with castor oil to keep them soft and hydrated. 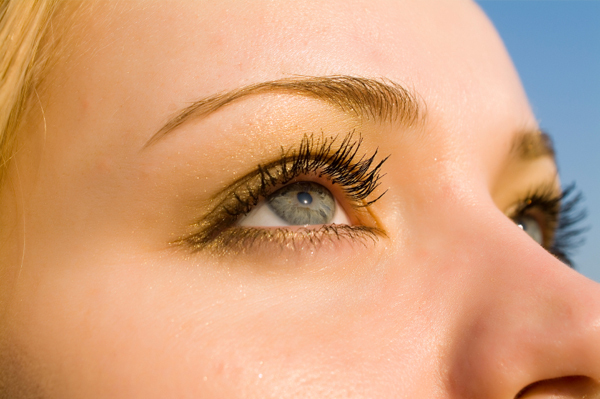 Latisse is an FDA-approved treatment to grow longer, thicker lashes. Although expensive, these elixirs truly do work. Apply the serum to your upper lids every night before bedtime, and you will see results in three to six weeks. The downfall is that it can cause irritation in some people — and may also permanently darken your irises — so ask your doctor to explain the pros and cons and to decide if it is right for you. Eyelash curlers are essential to lengthening and shaping your eyelashes. They help create the look of wide, bright eyes. Tip: Curl your lashes before you apply mascara. You can gently heat the curler with a blow dryer (for five seconds — make sure it’s not too hot!) and spray a light coat of hairspray onto the curler for extra hold. There are many different types of primers. Choose one with fibers to increase the length of your lashes. Opt for a volumizing formula over a lengthening formula for the ultimate bombshell look. To create the illusion of thickness, use brown mascara first (to create length) and then apply black mascara at the tips (to create thickness).